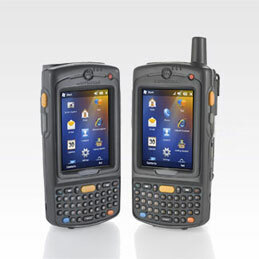 The 3.5G Motorola MC75A, one of the world's premium EDAs, offers more features and functionality, in a field-proven rugged form factor, than any other device in its class. The turbocharged MC75A addresses business critical mobility needs by maximizing processing power, rugged design, application flexibility, data capture capabilities, connectivity options, security and manageability - all in one device. Two options (3.5G WWAN/WLAN and WLAN only) enable enterprises to standardize on a single EDA to support workers inside and outside the four walls. Add a field-proven ergonomic design that is easy-to-carry and easy to use, and you have maximum value in a minimum footprint, all at the right price. Spring loaded stylus with teather for the MC70/MC75 series, (packet of 3). 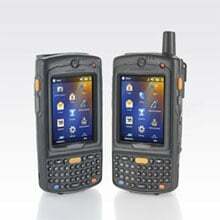 The Motorola MC75A0-PY0SWRQA7WR-KIT is also known as MC75A0-PY0SWRQA7WR-KIT	or MC75A0PY0SWRQA7WRKIT	.